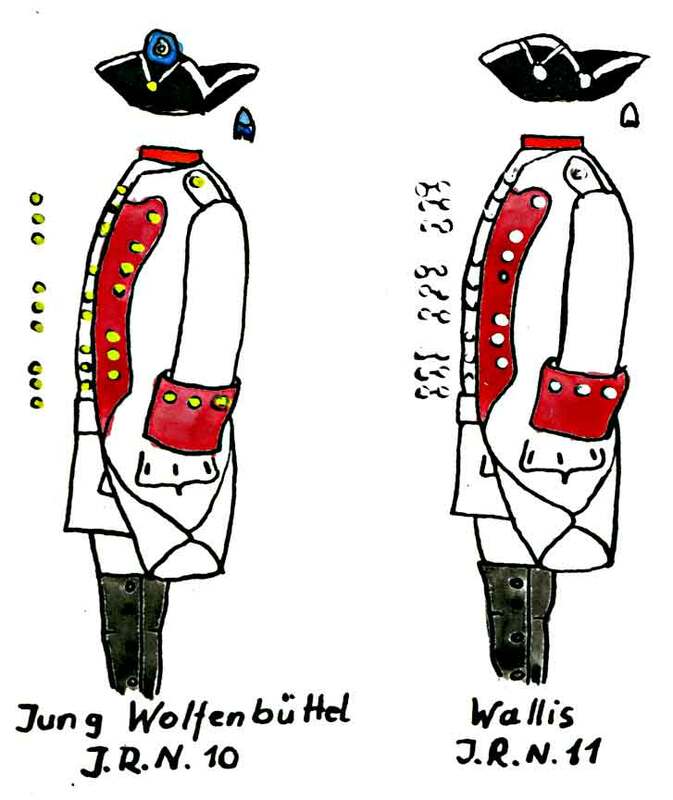 Detail - Uniforms of the Imperial Army of Maria Theresia - The German Infantry Regiments - Jung Wolfenbuttel Inf. Regt. # 10 - Wallis Inf. Regt. # 11.